Just Jingle: Are YOU blushing, yet? ACK! CUTENESS!!! 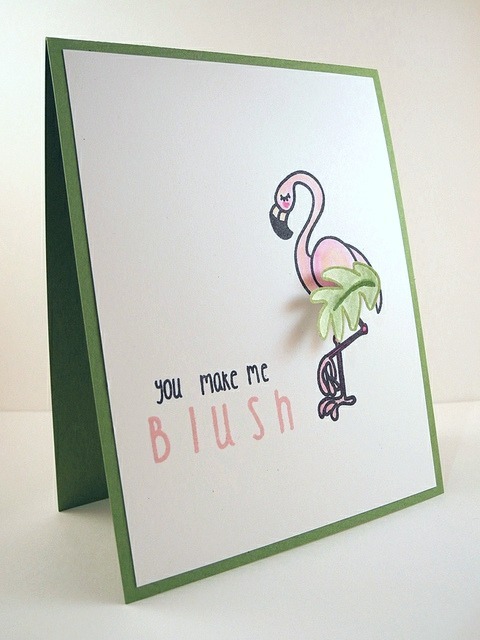 I just adore that ADORE-able Flamingo. For reals, though. It's too cute. 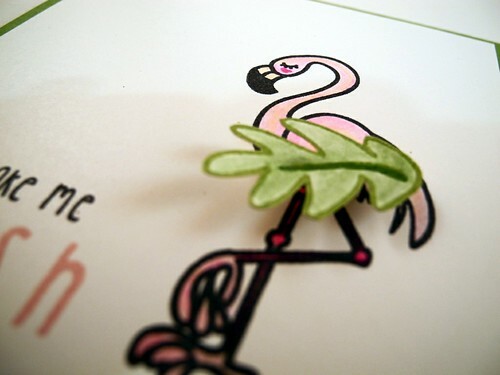 I colored the various pieces with Tombow Manga markers and pieced the leaf over the flamingo. I love the little darker shade in the flamingo's face! SO FUN! Head on over to The Alley Way blog to see a couple more super cute cards! This card totally made me laugh. Love it! Too cute! I love the pop dotted leaf in just the right position. How fun is this! What a delightful image and I love the leaf- just smack in the right place. Too much fun, and so very clever!